Lost Springs, Wyoming: The Town With 1 Official Resident! Lost Springs, Wyoming is one of four American municipalities with an official population of one, according to the 2000 census. The town in the eastern part of the state on U.S. Route 20 displays its official population on its welcome sign. 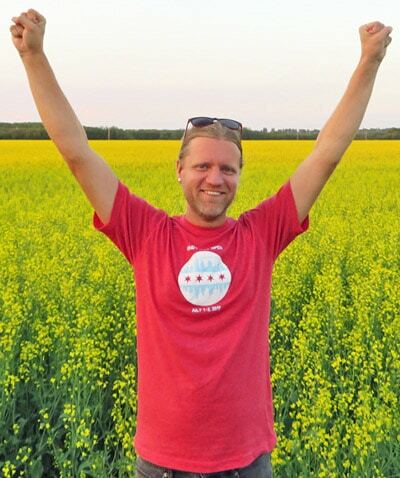 Last summer I stopped by to find out exactly what a town with one resident looks like. 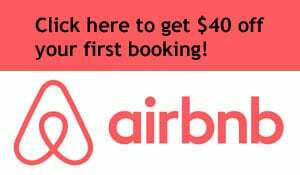 What is there to do in the town with 1 resident? Lost Springs actually has more going on than you’d expect from such a tiny town. In what might be referred to as the “downtown” area, they’ve got their own post office/general store, a bar with a neon Coors Light sign, and a small grassy park. 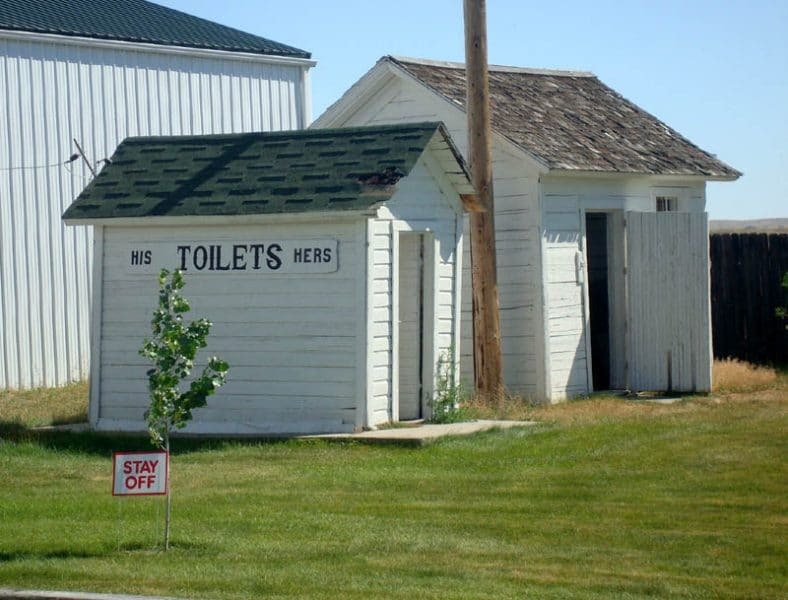 With outhouses. 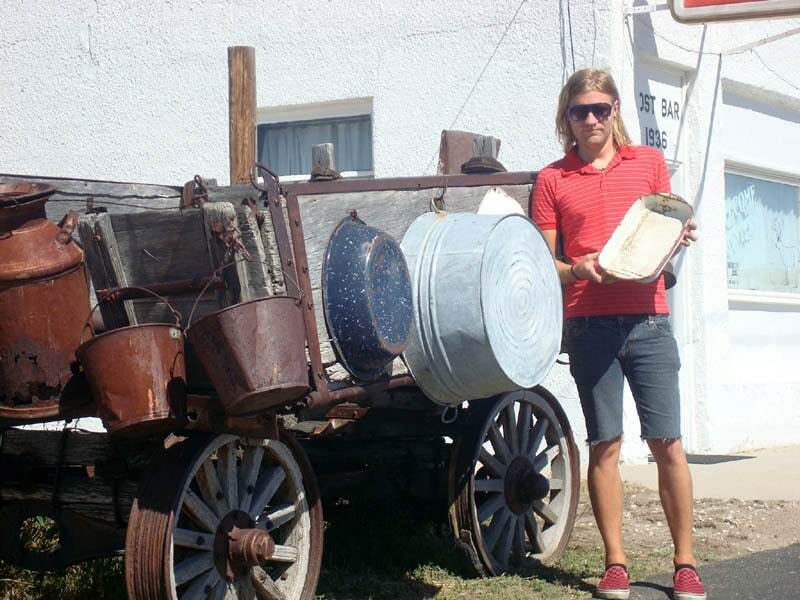 There’s an old timey wagon with old timey pots and pans, presumably a nod to the Old West frontier way of life. Or maybe they still use them to cook dinner and wash clothes. Just beyond the bustling business district, the town is surrounded by sunny farm country. 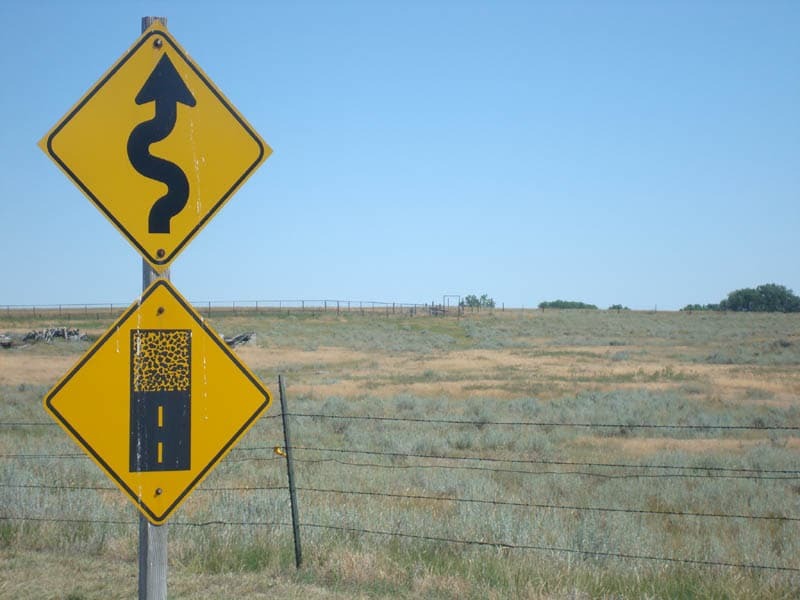 The main road begins to wind and turns to gravel. Even so, the speed limit remains an impressive 40 mph. Lost Springs actually had five residents in 2000, according to self-elected mayor Leda Price, who runs the bar, but apparently only one returned his or her census form. 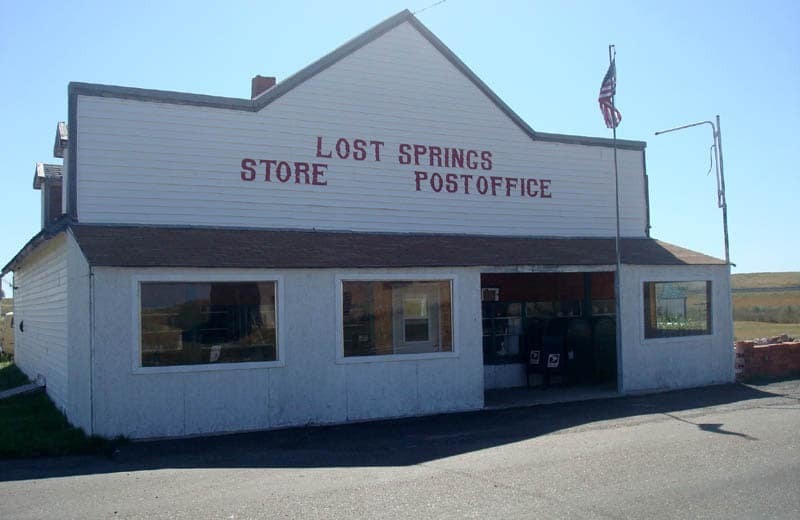 UPDATE: After the figures from the 2010 census were released, Lost Springs lost its designation as a town with 1 person. Its official population skyrocketed all the way to 4. It would’ve been nice to chat with a local Lost Springs resident, but no one seemed to be around when we visited (though we did spot a couple of parked cars.) Perhaps I can try again next year with another Wyoming town. The town of Buford is now claiming to have a population of one as well, and its lone resident was recently featured on CNN. For more on Lost Springs, check out the town’s Wikipedia entry, which goes into quite a bit of detail about its history. The Lost Springs population peaked at 207 in 1910, when the nearby coal mine was still in operation. By 1950, the population was down to 9. Amazingly, the official tally of residents has remained in the single digits for the past 70 years now. Yet Lost Springs hasn’t turned into a ghost town, so at least it has that going for it! 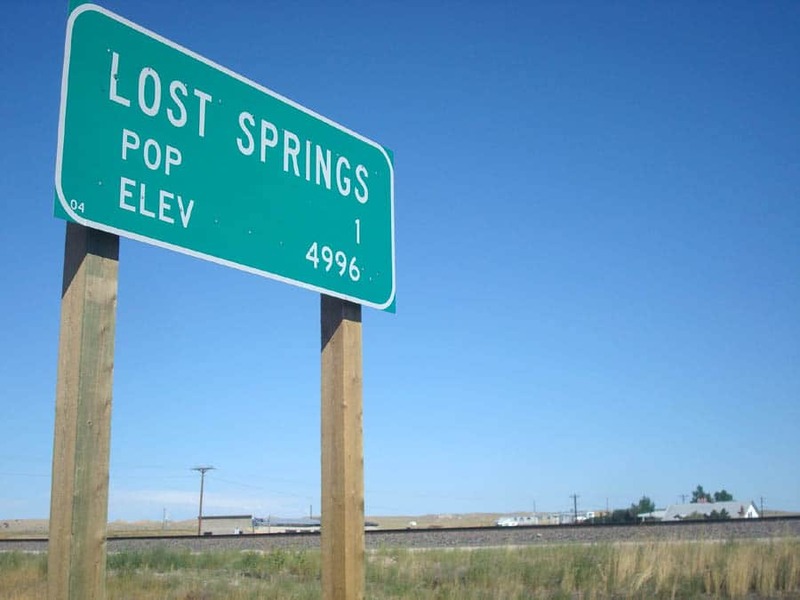 Lost Springs is in Converse County, Wyoming. The nearest city with at least 50,000 people is Cheyenne, Wyoming, which sits 112 miles away. Cool, that’s a fun little place! Interesting – googleaday.com today claims the speed limit is 30Mbh based on a google map streeview of the city. What is the source of the “40mph” speed limit listed in your article? I took a photo of the street that shows a “Speed Limit 40” sign. Although, the 4 on the sign was clearly painted over something else. So maybe it used to be 30 and someone changed it. Yeah, it seems like it must exist as a novelty rather than something that is actually necessary.